Jocelyn Hay - founder and president of the VLV dies. ExtraDigital. We are sad to hear of the death of Jocelyn Hay, CBE FRSA, the founder and president of the Voice of the Listener & Viewer (VLV). ExtraDigital started working with Jocelyn and the VLV ten years ago when we helped upgrade their website and include membership and booking facilities. The VLV is a non political organisation, made up of around 1,500 members concerned with the quality of broadcasting in the UK. The BBC's director general Lord Hall said: "Jocelyn Hay had a huge impact on broadcasting in this country. She never stopped campaigning for better quality programmes and for all broadcasters to put their audiences first. She always believed it was every broadcaster's duty to make engaging programmes that captured the public imagination. She will be much missed." Under Jocelyn Hay's strong leadership the VLV developed into an influential organisation with broadcasting. The VLV strives to promote and maintain diversity and plurality in public service broadcasting. It supports the independence, integrity and secure funding of the BBC and the work of broadcasters and programme suppliers who demonstrate commitment to public service broadcasting. One of the VLV's core beliefs is that 'every citizen should benefit from the enormous potential to deliver digital resources to people across the UK and seeks to ensure that citizens are not disadvantaged by technological developments'. It was on this basis that ExtraDigital (under their former name of Cornish WebServices) were asked to upgrade their initial website into an accessible website, about ten years ago. Since then we have upgraded the design twice as website technology has evolved. The VLV is one of many not for profit organisations that ExtraDigital provide websites for. 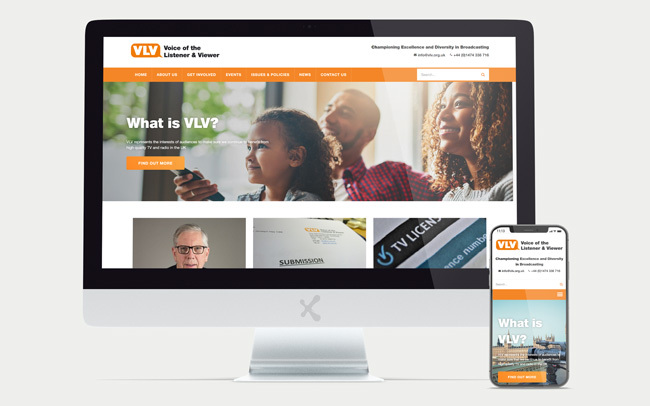 The VLV website is maintained and edited using the ExtraCMS - an accessible and search engine optimised content management system that is well suited to non for profit organisations who require accessible websites.